The 1960s and 1970s were what many would consider a golden age for music. Several of the legendary names in music history, Led Zeppelin, Elton John, and The Rolling Stones, just to name a few, were at the peak of their musical careers. Additionally, there was wave of songs that played for much longer than the short duration we are accustomed to today. Songs lasting anywhere from six to ten minutes popped up on charts and radios around the world, some of the live versions going on for even longer. Found largely in the classic rock genre, these pieces truly celebrated instruments and the artists that played them. As our attention span continues to shorten from the increased presence of technology, so has music, specifically mainstream music, shortened in length. Repetitive choruses and lyrics leave listeners with not much more than three minutes of a catchy beat and auto-tuned melody. There is certainly no shortage of groundbreaking artists out there today who are creating songs that push the boundaries of music, yet the majority of these pieces fall within the two to five minute time frame popularized to facilitate the flow of playlists and air time. Bringing the past movement of longer songs to modern music could allow artists to expand stylistically and fully showcase their talents. One of the earliest songs to bring the trend of length into the mainstream music scene was “Hey Jude” by a band that swept the world, The Beatles. Clocking in at seven minutes and six seconds, “Hey Jude” builds from a ballad-like beginning to a rousing ending chorus that echoes a simple melody alongside lively guitar strums and an emphatic piano. 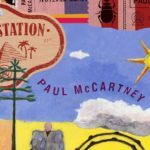 Paul McCartney’s vocals start out calm and connected, then evolve to raspy improvised additions as the song picks up speed and gains a rock and roll tone. A classic example of the potential behind lengthier songs, this piece takes the listener on a journey as it progresses. Blending together different tones and tempos into one track, “Hey Jude” was just the beginning of popularity for more extensive music. The long song really found its place in rock and roll of the early 1970s, with many bands releasing seven to nine minute long showcases of instrumental ability. Electric guitars became the star of the show, flaunted through extended riffs and solos. 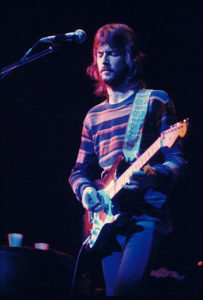 Released in 1970, “Layla” by Derek and the Dominoes features the high pitched sound of Eric Clapton’s twangy guitar as it floats over the rest of the arrangement. Extensively focused on instrumentation, only two and a half minutes of this seven minute song include vocals. Complex lyrics weren’t necessary to make this piece a standout. The musical talent of Clapton and the entire group shines through and every second of “Layla” is musically captivating. 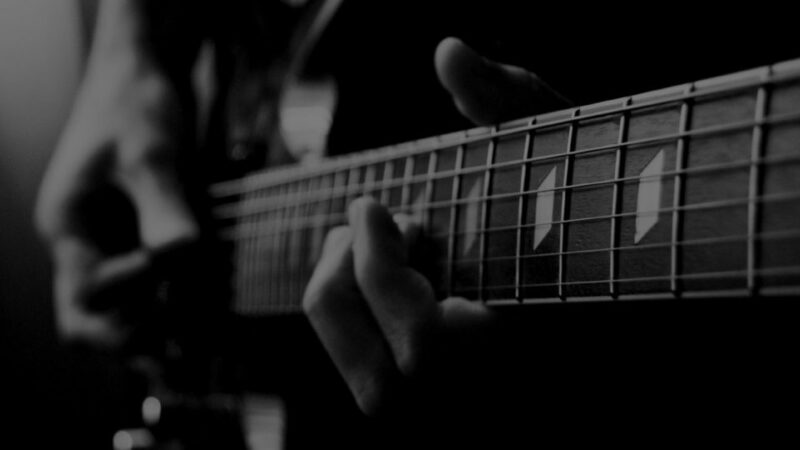 Electric guitar is practically immortalized in the mountain of a song, “Free Bird” by Lynyrd Skynyrd. The slow sliding riff that underscores the opening verse initiates what modifies throughout the piece to become one of the best guitar solos of all time. Not only is the solo increasingly fast, it covers a wide range of notes in its four minute duration. 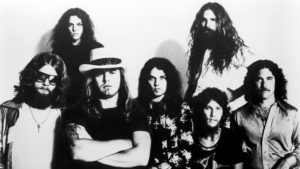 Again, musical talent is displayed in various ways throughout a long song, and “Free Bird” only gains momentum as it moves forward. 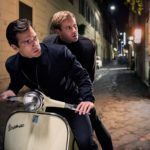 Contrasting to its laid back beginning, the high energy end of the song completes the impassioned story that is told throughout its nine minute runtime. Perhaps the greatest benefit of creating songs that seem to “go on forever” is the ability to tell a story. This can be through lyrics, as in Don McLean’s “American Pie” or Meat Loaf’s “Paradise By the Dashboard Light,” or musically, like the ever-changing melodies in “Stairway to Heaven” by Led Zeppelin. Oftentimes, the longevity of these songs left room for both. Just like a book, long tracks develop complex plots, often with climactic moments of musical genius throughout. With over eight minutes of music, “Paradise By the Dashboard Light” can sound like three separate songs all stuck onto the same recording, yet there is continuity between each part through the lyrics. The story never strays from the forming relationship of a man and woman and tackles several emotions surrounding this theme through differing tones of music. Music has always had the ability to make us feel a certain way that isn’t able to be translated though just plain speech. Long songs include everything that is already loved in music, just in an extended format. And why shouldn’t we make more of what we love? An Oldie But a Goodie: The Music from U.N.C.L.E.